In 1992, Alexandre Guarneri and Steph Cop established men’s brand Homecore. It was France’s first streetwear/hip hop brand. The brand has evolved from its hip hop beginnings to a brand that Guarneri describes as having pieces that represent the “mathematics of clothing” – with fit, quality, price, presentation, timely delivery and solid basics with interesting detail all in harmony with the inner architecture of the human body. Most of the fabrics come from Italy, France and Portugal and 95% of the production takes place in Portugal. 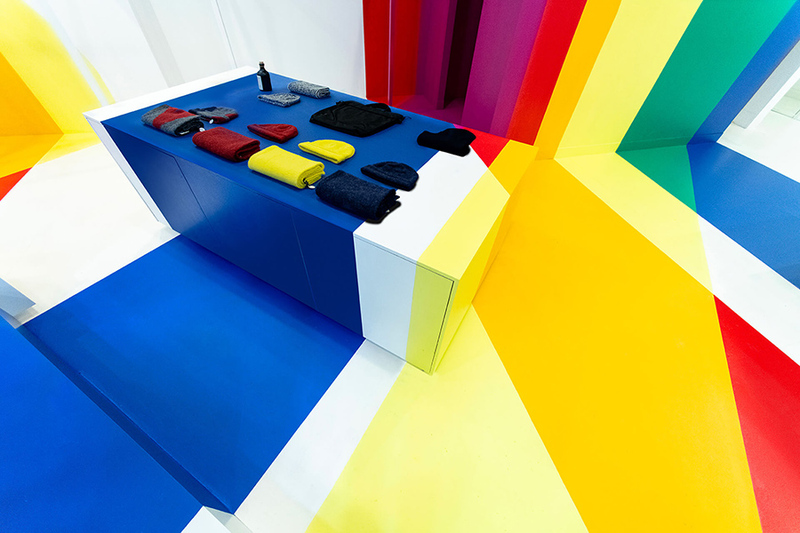 In Paris, at 26 Champs Elysees, Homecore has just opened a pop-up shop: Pop-Up Homecore Paris 8. Many of the basic principles that Guarneri has talked about over the years have come together in this shop. 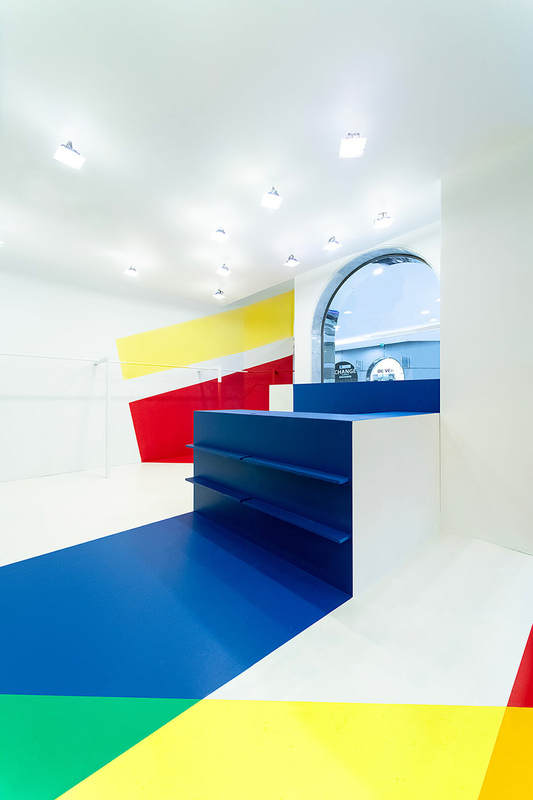 The strikingly colourful interior was designed by Stephane Malka Architecture. 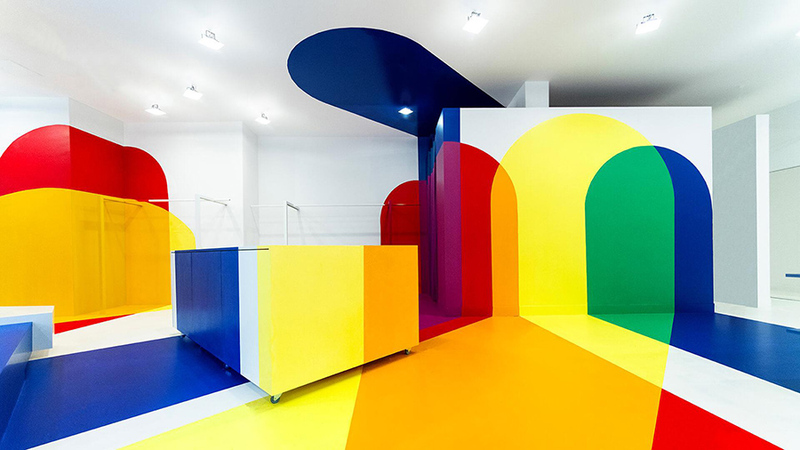 The Marseilles-born architect Malka was a fitting choice as his early background is steeped in graffiti, urban vacant lots and projects involving well-honed street skills. 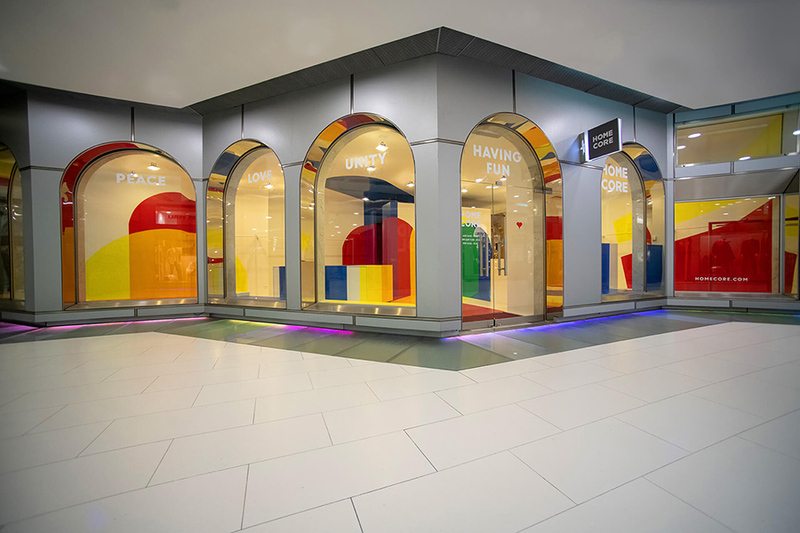 Homecore pop-up’s inspirations were Homecore’s slogan “peace, love, unity and having fun” and its color therapy concept that avoids using black. 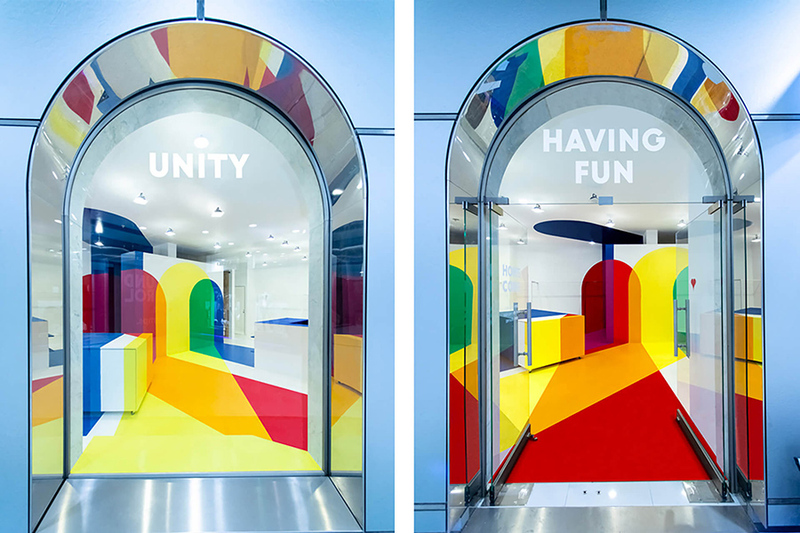 In addition, the 100 square metre (1,076 sq.ft) store’s interior reimagines the Krylon Spray can logo that references the brand back to graffiti, and Newton’s prism that turns white light into the colours of the spectrum. 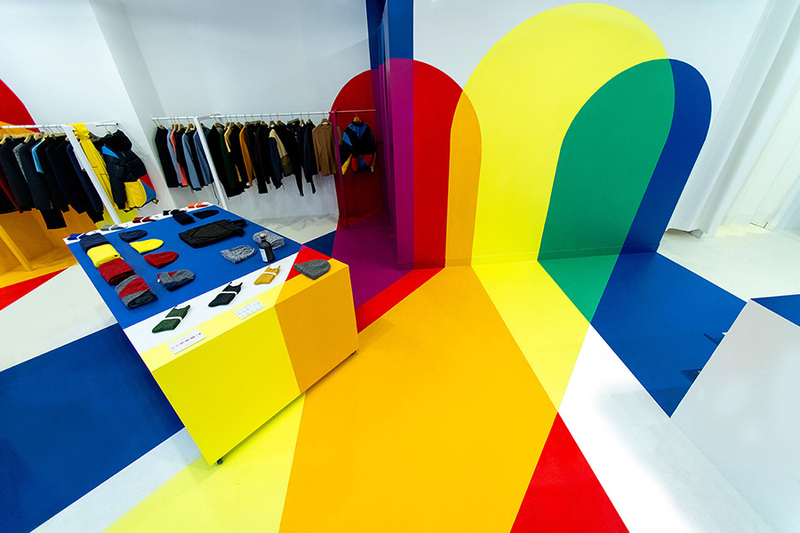 The result is a striking retail environment that exudes happiness uncharacteristic to moody streetwear brands. Tuija Seipell.